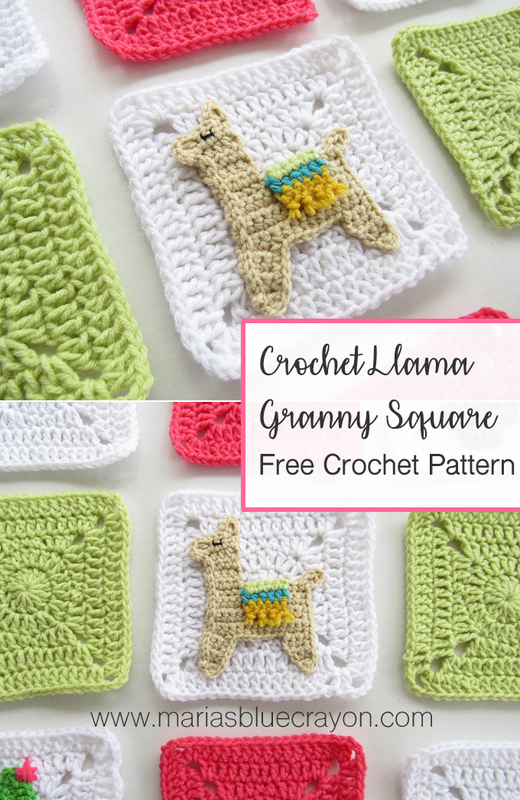 GET THE LLAMA APPLIQUE ALONG WITH THE GRANNY SQUARE PATTERN IN AN AD-FREE PDF DOWNLOAD HERE. OR SCROLL DOWN FOR THE FREE LLAMA CROCHET PATTERN. What’s better than a cute crochet llama?! A cute crochet llama granny blanket! 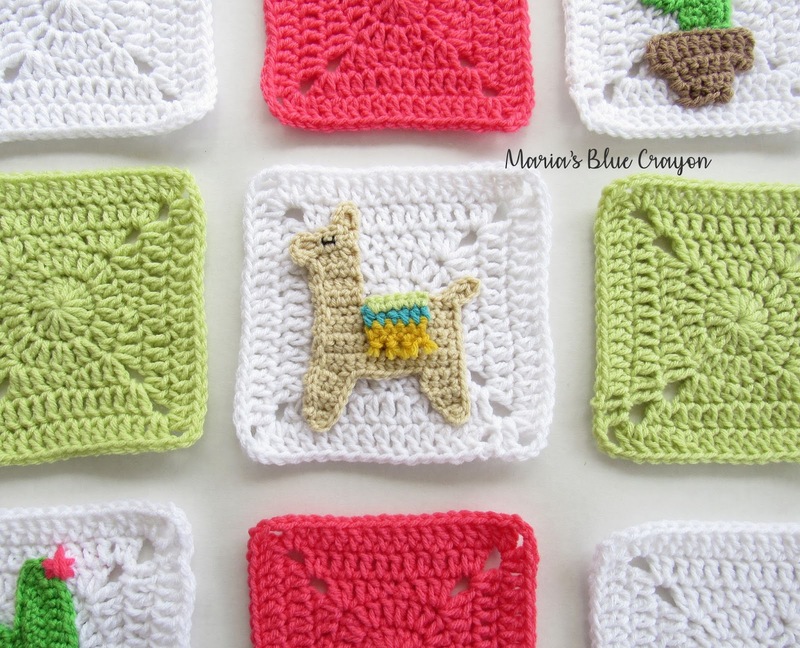 This square is just one in my newest themed granny square blanket. 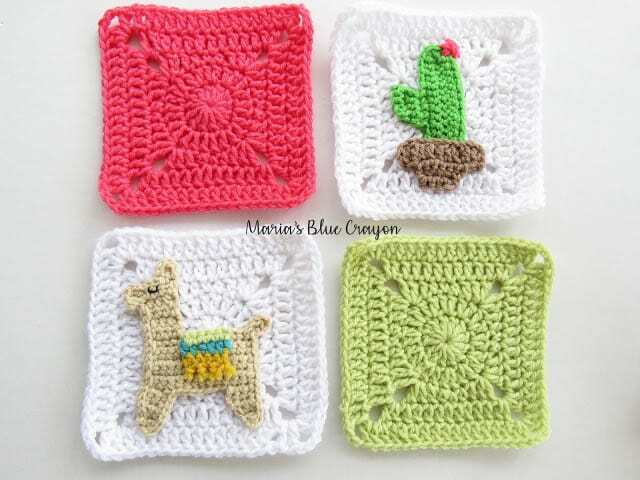 Last week I made a cactus square that you can find the free pattern to here. 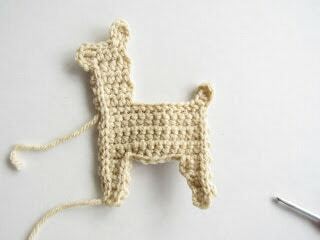 I’m going for a llama and cactus theme for this granny square blanket, and I’m in love with how it’s turning out! I chose to do fun and bright colors for the accompanying squares. I think this blanket is going to be super cute, especially for a baby blanket. 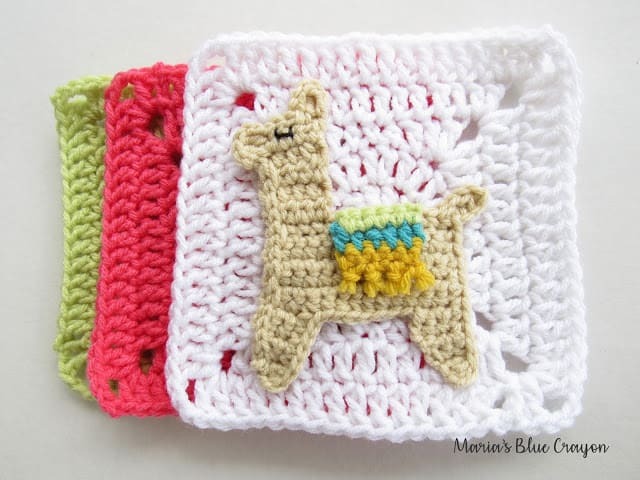 The pink squares can easily be switched for a pretty blue for a little boy! I plan on making at least one more applique to finish this blanket up. 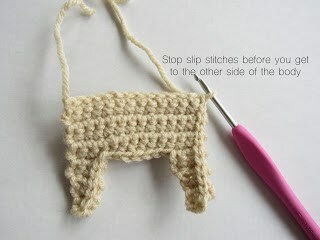 Not many appliques for this afghan, but I really want to make the llamas the star of this blanket! 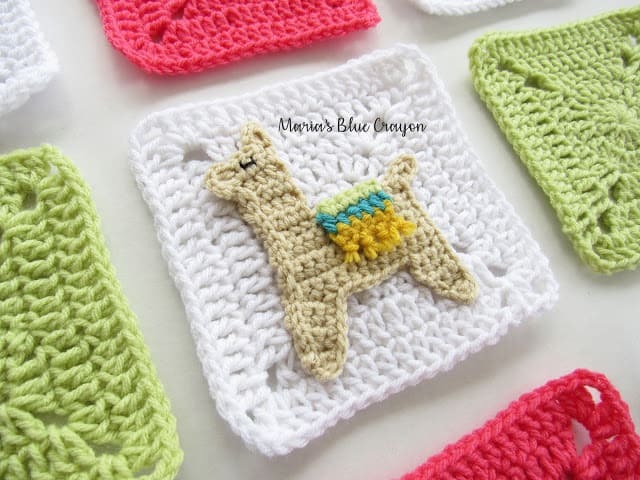 I will be making my llamas with all different colored rugs. 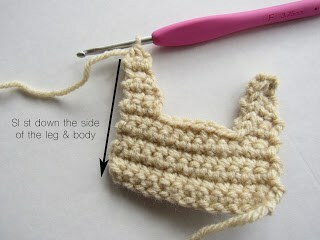 It’s going to be a great way to use up a bit of scrap yarn! I think this is going to be a really fun blanket. I’m already having so much fun designing it and seeing it come together! You can see a little of how it’s going to look in the photo at the bottom of this post! 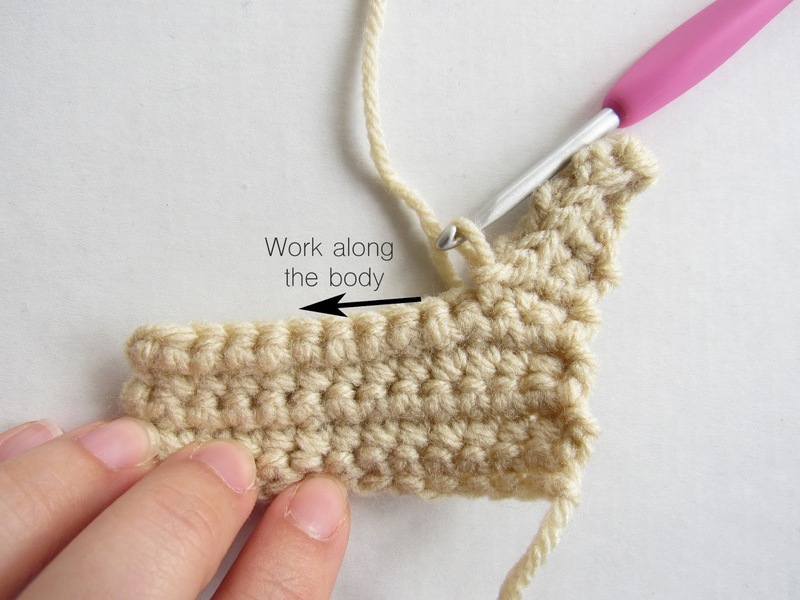 Slip stitch back to the main portion of the body. Slip stitch down the leg and body until you get to the other side of the body. Turn work 90 degrees to work on the nose/face of llama. 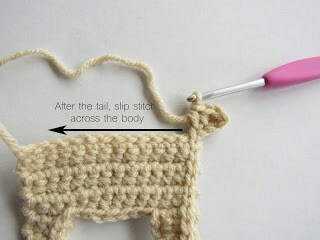 Ch 2, dc in next 2 spaces, ch 2, sl st into same st as last dc, sl st down body and leg of llama. Add fringe to the bottom. 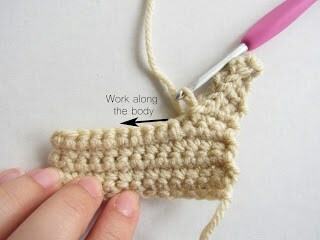 Use black thread and tapestry needle to sew on the eye, making a ‘U’ shape. Find the cactus granny square pattern here. You are such a gifted designer. Love your work! You come up with the cutest designs! 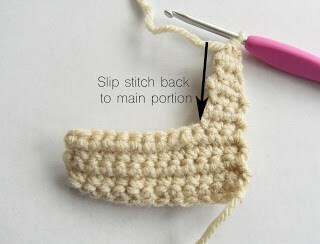 I just wish I could fit more yarn into my budget. Can you maybe make a pillow with the llama? He's so cute! Ooooooooh, I love this pattern! The llama looks super realistic. Can't wait to try it out! 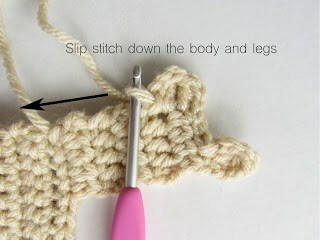 (Just discovered your blog and am "hooked".) Thanks for sharing! The llama is just so stinking cute! Great pattern!